Bowers also includes photos to accompany each dish. 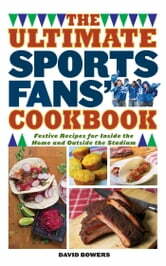 The Ultimate Sports Fans’ Cookbook is the perfect book for food-loving sports fans of all kinds! Slow Cooker Cake Recipes: 80 Sumptuous Low-Carb Cake Recipes You Can Cook in Your Slow Cooker! How to throw an Ugly Christmas Sweater Party!